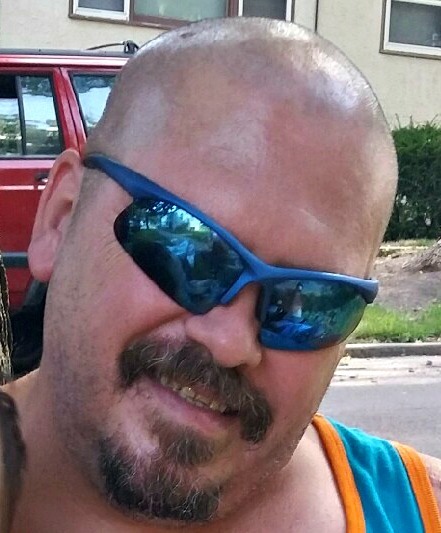 Michael John Mascarenas, 49, of Sioux Falls, SD, passed away Wednesday, December 9, 2015 in his home. Michael was born January 25th, 1966 in Denver, CO and was educated in Shelby, MT graduating from Shelby High School in 1984. He then joined the U.S. Army wanting to serve his country. He left the army in 1992 with an honorable discharge. Michael loved spending his free time with his grandsons by going to school functions for Anthony and throwing candy at him, having tickle fights and throwing pennies with Camden, and having baby Donavan cuddle up and fall asleep in his "grandpa fat". He also loved walking his four-legged companion, Sadie. Michael is survived by his mother: Bea Mascarenas, Great Falls, MT; sisters: Michelle (Chuy) Villagomez, San Jose, CA, Monica Mascarenas, Seattle, WA; his daughters: RoyAna (Bradley) Shields, Sioux Falls, SD and Rose Mascarenas, Helena, MT; his nieces: Mystie (AKA Aunt Mystie) and Alyssa; his nephew Diego; and four grandsons: Anthony, Camden, Donavan, and Young Jae. Michael was preceded in death by his father, Roy Mascarenas and his brother, Mark Mascarenas. A private family service will be held. Donations may be made to the American Diabetes Association.